I though it’s about time that I opened up my blog again for the new year! One of the things I wanted to do more of this year is to feature more travel related posts. It’s a topic that I’ve always touched upon, but haven’t put too much emphasis on. You can say that it’s one of my New Year’s Resolution to travel more and to start documenting my journeys. So why not start by showing you how visiting Iceland in December felt like, and a couple of things you need to know (from a none sales perspective) before visiting Iceland. Iceland has always been a country I wanted to visit because of the natural wonders and stunning landscape you can find all around the country! 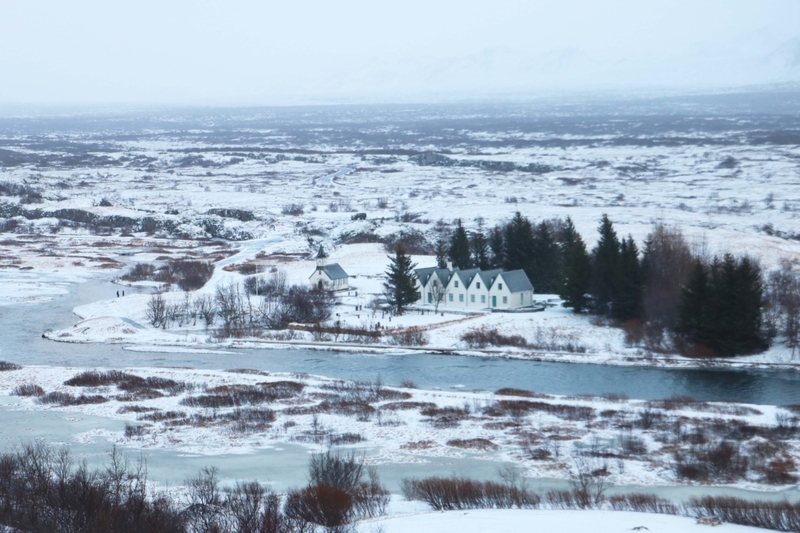 This is why I picked Iceland when my mum asked me where I wanted to go for 4 days between Christmas and New Year. We thought Iceland was quite close to Norway (both in the Nordics right? ), and that flying from Norway to Iceland would be stress free, but how wrong were we! The journey from our house to the hotel took over 10 hours! Because of my mixed feelings about my journey, I thought I’d share some of my favourite and not so favourite things about Iceland. Note: not all photos reflect the paragraph, these are from the Golden Circle trip (the only semi-picturesque photos I have of Iceland). Geysir: part of the Grand Golden Circle tour. 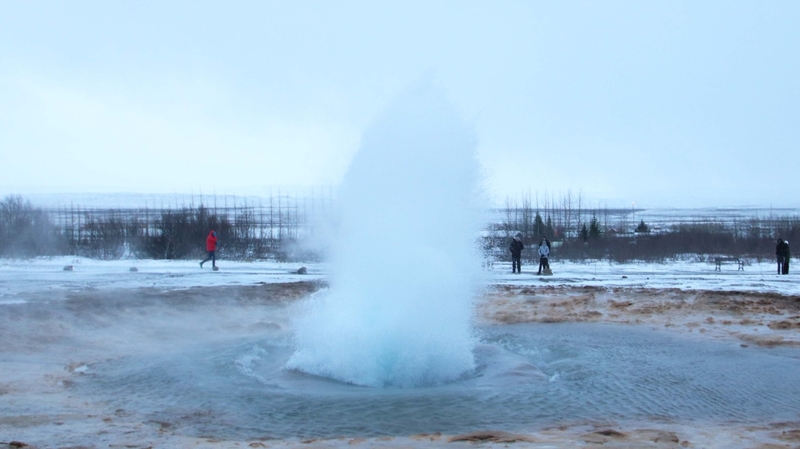 The Great Geysir spouts every 10-15 minutes and it only lasts for 2 seconds. Capturing this shot was a big challenge, especially in the cold! Because we chose to go between Christmas and New Year, a popular period to go, all the hotels and tours started selling out in November. So we didn’t have many options when it came to which hotel we wanted to stay at. Thankfully, we found Hotel Cabin Reykjavik which was decently priced compared to some of the other places. So remember to look and book early if you are planning to visit Iceland. The prices only go in one direction and it’s upwards! Also, if The Blue Lagoon is a place you want to visit then do book it as soon as possible because the tickets sell out quickly during the most popular seasons. The prices won’t change, so why wait? You can book the tickets online and you can choose your entry times. However, we found that they’re not too fussed if you’re a little early or late and you can pretty much stay in the water for as long as you want. We went in for the 6pm slot in the evening (those were the only tickets left and we booked it 2 weeks before our trip), so it was pretty dark, cold, windy and it even hailed, but the water was warm and relaxing. The Blue Lagoon is definitely worth a visit because it’s everything I imagined it would be. Highlight of our trip! Pingviller: Part of the Golden Circle tour – these house are in the middle of nowhere, but seen by millions of people all around the world! Although Reykjavik itself doesn’t scream “capital city” to me, the travel industry is very well developed and much better than any other countries I’ve visited. We considered booking an apartment, but the pricing was similar to the hotels so we went with Hotel Cabin in the end. The best thing about staying in hotels is that the tour and airport transfer buses pick you up and drop you off at your hotel with no extra cost. This was one of the better things about Iceland and it’s perfect if you’re visiting Iceland for the first time. Faxi: Part of the Golden Circle Tour. It’s a small waterfall we visited during our tour. Not as impressive Gullfoss, but still one of Iceland’s proud natural landscapes! Iceland is EXPENSIVE! Having lived in Norway and London for most of my life, I can reassure you that London seems like a bargain in comparison. Paying £10 for a fresh sandwich, £4 for a cup of coffee and £50 for a standard one course dinner for two did burn a hole in my wallet! Nevertheless, this did make the tour buses seem cheap in comparison. We thought the weather in Norway was bad enough, but the climate in Iceland was worse! We experienced all sorts of weather during our 4 day visit: 2 days of snow storm, a full day of rain, hail in the Blue Lagoon, an hour of sunshine and it was very cold!!! We saw a couple of stars, lots of clouds, drove through the fog and saw the sunset. In fact, the weather, mainly the snow storm was so bad that most travel companies had to cancel all their tours for two days! Weather only fit for a true Viking they call it! 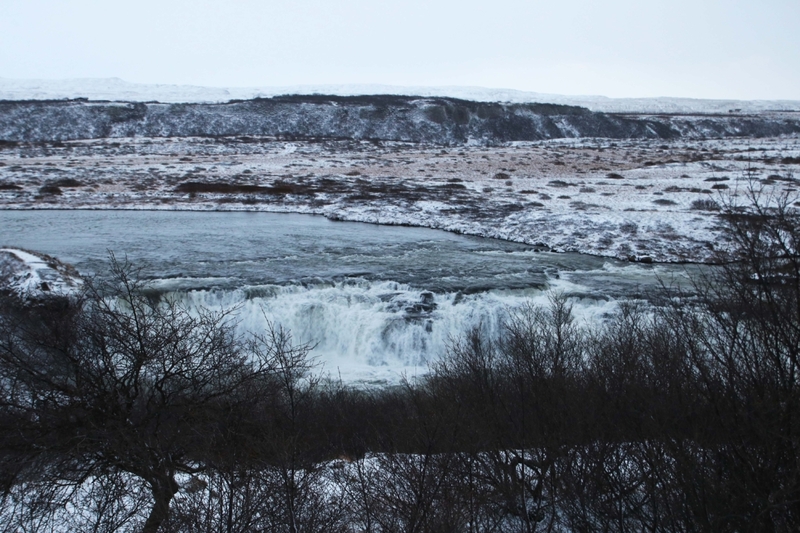 Gullfoss: This is my favourite photo from the Grand Golden Circle Tour. 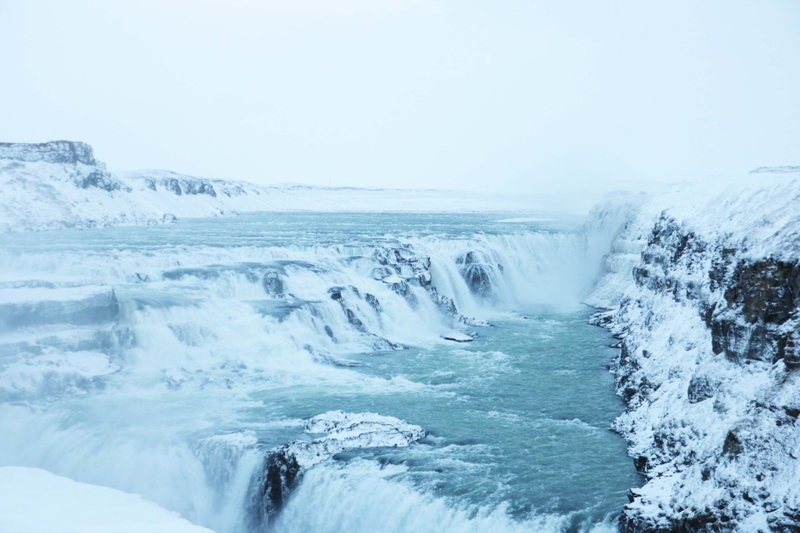 Gullfoss look so majestic in the snow! There are hundreds of travel companies in Iceland. The pricing for tours are very similar, so it’s about finding the company that really suits your needs and what you want to get out of the tour. If you’re looking to go with the travel giants when visiting Iceland, then Reykjavik Excursions is the one to go for. We booked our airport transfer and Blue Lagoon transfer with them and it ran really smoothly. We also chose BusTravel Iceland for the Grand Golden Circle tour! The tour itself was amazing and it took us through 5 of the main sites around the Golden Circle as well as stopping by a local cafe. We were were lucky to have chosen BusTravel Iceland because all of the other travel company buses got cancelled due to the snow storm (which was terrifying whilst we were on the bus to be completely honest with you!). But we managed to survive the journey and it wasn’t that busy when we got to the sites. Our tour guide was also super nice and friendly! 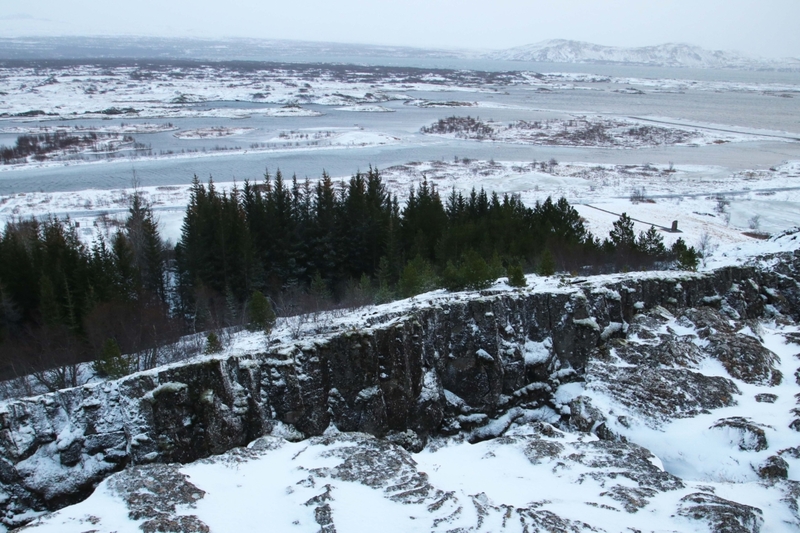 Pingviller/Thingviller National Park: this is where the North america & Eurasia plates joy and grows further apart by around 7cm every year! Despite the terrible weather, the extortionate pricing and only having 3 hours of daylight, we did consider ourselves lucky to have seen everything we wanted to see other than the northern lights due to poor conditions. Visiting Iceland in the winter wasn’t ideal, so if I were to see the country again then I will most likely go in the summer when it’s a bit brighter and warmer outside… and hopefully without a snow storm or a volcano eruption.